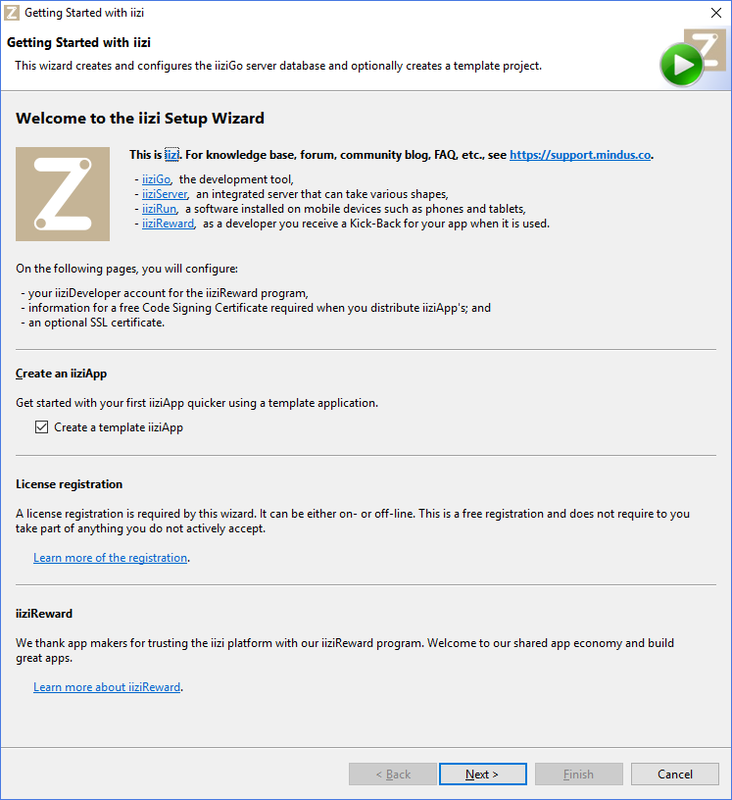 For first-time users, a Getting Started with iizi wizard will automatically appear. an optional self-signed SSL certificate. 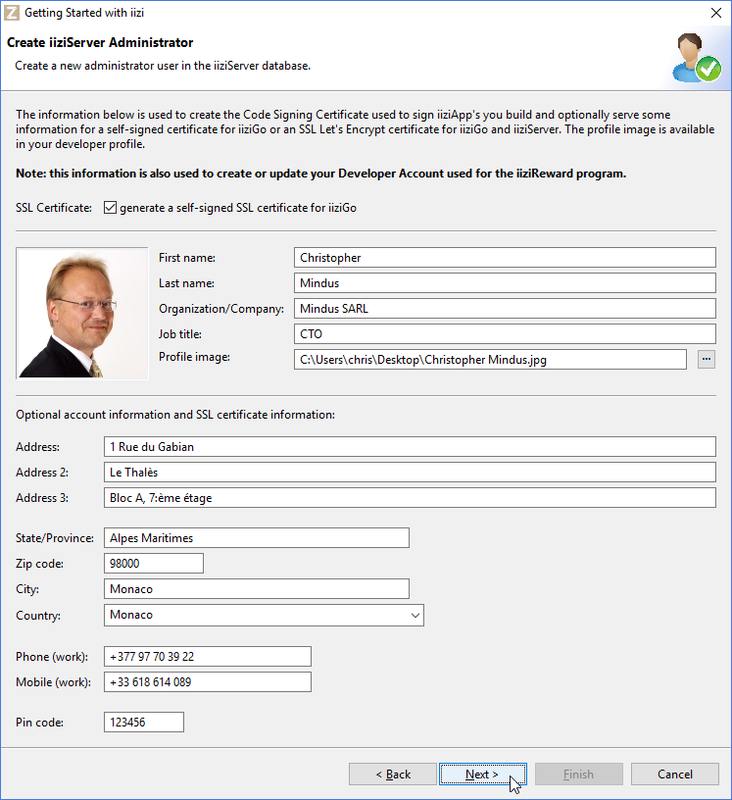 The important part of the wizard is the creation of the iizDeveloper account with the Code Signing Certificate used with the iiziReward kick-back program.